Yes, another historical figure who has a doppelganger whose TVCU presence is of major importance to us. 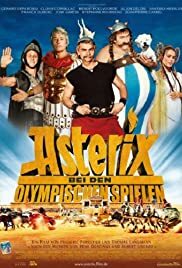 The Time of HERCULES: THE LEGENDARY JOURNEYS and XENA: WARRIOR PRINCESS--I'm more and more inclined to believe that these series took place in some pocket dimension, although both heroes survived into the modern day of the main TVCU. There are so many anachronistic appearances in this series. 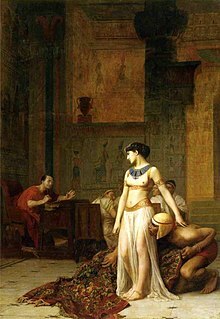 A young Julius Caesar appears in both series, but most of the Hercules/Xena series should place those series centuries before the life of Julius Caesar. Some argue that Hercules and Xena were time travelling in their journeys, but it feels more likely that they exist in some pocket fairy tale dimension. 100 B.C. to 44 B.C.--G.I. JOE # 50 & 73/YEARBOOK # 3/SERPENTOR'S FILECARD--"The Battle of Springfield/Divided We Fall/My Dinner with Serpentor"--Life of Julius Caesar, whose DNA will be used to create Serpentor. 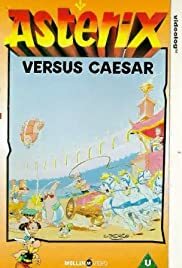 Julius Caesar has also appeared in THE ABBOTT AND COSTELLO SHOW, ADVENTURES OF SUPERMAN, BEWITCHED, HERCULES: THE LEGENDARY JOURNEYS, RELIC HUNTER, XENA WARRIOR PRINCESS, and CARMEN SANDIEGO'S GREAT CHASE THROUGH TIME. A full list of appearances of Julius Caesar in television and film can be found here. I'm only going to list the most significant for TVCU purposes. 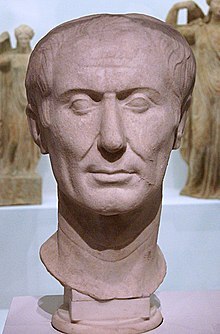 October 49 BC – 15 March 44 BC--Reign of Julius Caesar as Dictator of the Roman Republic. 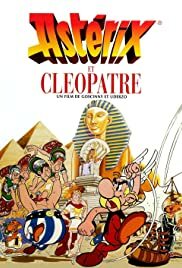 During the reign--ASTERIX AND OBELIX MEET CLEOPATRA--Astérix and Obélix go to Egypt to help architect Numérobis who is building a palace for Cleopatra. Julius Caesar also appears. 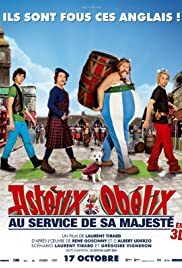 During the reign--ASTERIX IN BRITAIN--The diminutive Asterix and his rather larger companion Obelix, warriors of the last village in Gaul still free after the Roman invasion, set out on a mission to deliver a barrel of their druid's famous magic potion to help Asterix's cousin in Britain fight off the invading Roman army. 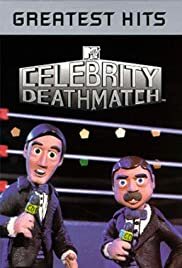 During the reign--CELEBRITY DEATH MATCH--"Time Travelling: Part 2"--The search for Debbie leads Johnny and Nick to the Coliseum, where the latter must fight the Satyr. Julius Caesar also appears. 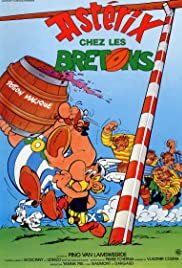 During the reign--ASTERIX AT THE OLYMPIC GAMES--Astérix and Obélix compete at the Olympics in order to help their friend Lovesix marry Princess Irina. Brutus also tries to win the game with his own team and get rid of his father Julius Caesar. 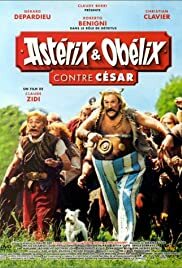 During the reign--ASTERIX AND OBELIX: GOD SAVE BRITANNIA--Asterix crosses the channel to help second-cousin Anticlimax face down Julius Caesar and invading Romans. 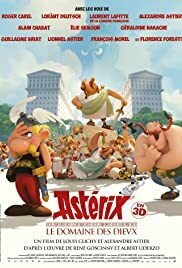 During the reign--ASTERIX AND OBELIX: MANSION OF THE GODS--In order to wipe out the Gaulish village by any means necessary, Caesar plans to absorb the villagers into Roman culture by having an estate built next to the village to start a new Roman colony. 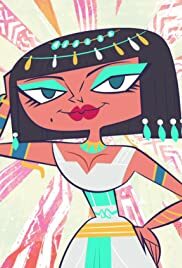 47 B.C.--THE MR. PEABODY AND SHERMAN SHOW--"Cleopatra"--Beautiful Cleopatra turns out to be a belching queen. Julius Caesar also appears. 45 B.C.--EPIC RAP BATTLES OF HISTORY--"Shaka Zulu vs. Julius Caesar"--Using the Epic Rap Battles time machine, Shaka Zulu and Julius Caesar have a rap battle. 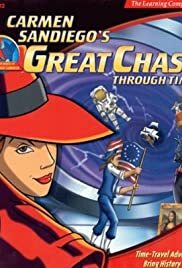 During the reign--CARMEN SANDIEGO'S GREAT CHASE THROUGH TIME--Master thief Carmen Sandiego has a time machine called Chronoskimmer and plans to steal historical reaches, such as the Declaration of Independence. Travel to various eras, find out why she's there and stop her plan. Julius Caesare appears. 44 B.C.--RELIC HUNTER--"Roman Holiday"--An alchemist creates an impenetrable armor for Caesar. 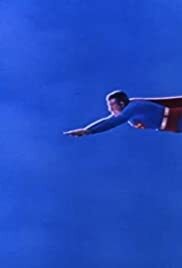 Adventures of Superman--Great Caesar's Ghost--Everybody knows that the favorite expletive of "Daily Planet" reporter Perry White (John Hamilton is "Great Caesar's Ghost!" With this in mind, imagine White's shock and dismay when he is confronted with the ghost of Julius Caesar (Trevor Bardette). Before long, all of Metropolis is seriously questioning White's sanity--which is precisely the intention of a gang of crooks who hope to discredit Perry's testimony at a criminal trial. 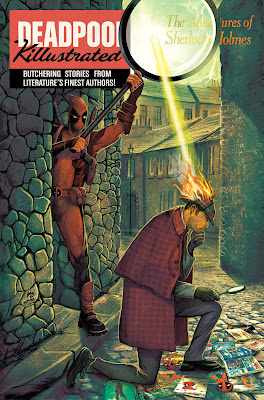 Looks like Superman (George Reeves) is going to have to do some ghost-busting in this one! October 1969--BEWITCHED--"Samantha's Caesar Salad"--Esmerelda accidentally pulls Julius Caesar from the past. Julius Caesar has also appeared on THE ABBOTT AND COSTELLO SHOW, THE ADVENTURES OF SUPERMAN, HERCULES: THE LEGENDARY JOURNEYS, RELIC HUNTER, and XENA: WARRIOR PRINCESS. 2000--RELIC HUNTER--"Roman Holiday"--Sydney and Nigel are on a trip, so Claudia decides to help Sydney's friend Roger to find Caesar's Armor. But relic hunting is not her strongest talent.